With nearly 20 years of experience as a Board Certified Music Therapist, Angie has observed the transformation of the disability community with the intentional application of music therapy techniques to support a person-centered approach. She enjoys being a part of the collaborative team process that empowers inclusivity for all people. With additional training and experience in unique methodologies, including supported communication techniques that target motor differences, she bring to Insights a breadth of experience that spans across many settings. 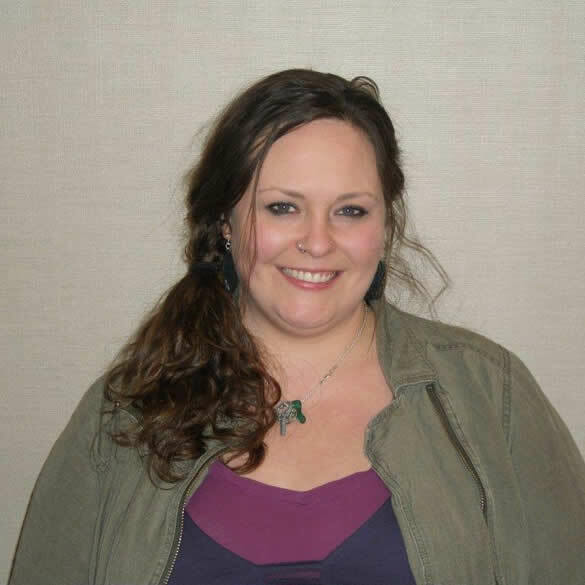 Angie is currently seeking her Masters in Music Therapy with an emphasis in systemic multicultural counseling, and supports the music therapy department remotely until she moves back to Central Indiana in 2020. While she is widely known for her work within the autistic and disability communities, she has also worked with private businesses, school systems, and faith-based organizations across state-lines. When not working, Angie can be found with a good cup of coffee, a cat on her lap, or traveling with her wife.